Canadian all natural ingredients old country style Mediterranean cheeses are produced in the traditional artisan way from first quality milk according to KAROUN DAIRIES SAL standards. Only traditional cheese making technology is used to produce Karoun's Canadian all natural ingredients old country style Mediterranean cheeses. 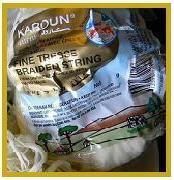 Karoun's Canadian all natural ingredients old country style Mediterranean cheeses can be exported to most countries worldwide under our proprietary KAROUN brand. 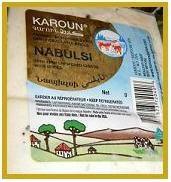 Karoun's Canadian all natural ingredients old country style Mediterranean cheeses are not available for sale or to be re-exported to the USA under our proprietary KAROUN brand.